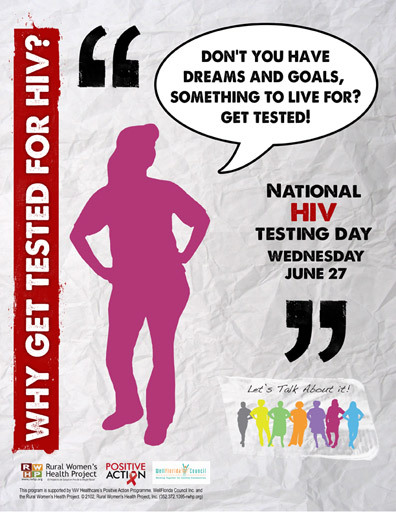 National HIV testing day is tomorrow June 27th and we thought it was the perfect time to remind everyone of the importance of ADVOCACY! As one LTAI member always says, “Knowledge is power,” and one of the best ways to make a change in someone’s life is through education. We encourage all of our readers to be advocates, whether you are positive, a caregiver, or a provider; you can make a huge impact in your community by promoting HIV/AIDS testing. There are many FREE testing sites for your community to take advantage of. Below are some great resources in the Gainesville area for you to share with your family, friends, and community members. Macy’s/Gainesville Oaks Mall: 1pm-8pm Alachua County Health Department HIV program staff & MACY’s MAC AIDS foundation will offer FREE HIV Rapid testing.